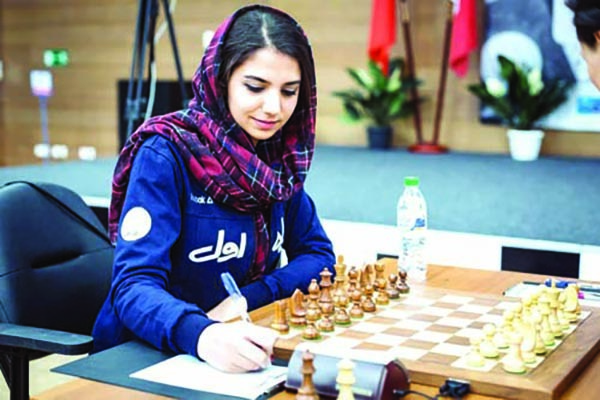 Iranian International Master and Woman Grandmaster Sarasadat Khademalsharieh has sustained her first loss at the Federation Internationale des Echecs (FIDE) Women's Grand Prix in Russia, going down to a representative from China in the ninth round of the final leg of the tournament. On Tuesday evening, Chinese competitor Ju Wenjun got a rather comfortable play against the 19-year-old Iranian sportswoman at Ugra Chess Academy in the town of Khanty Mansiysk after a pawn sacrifice. 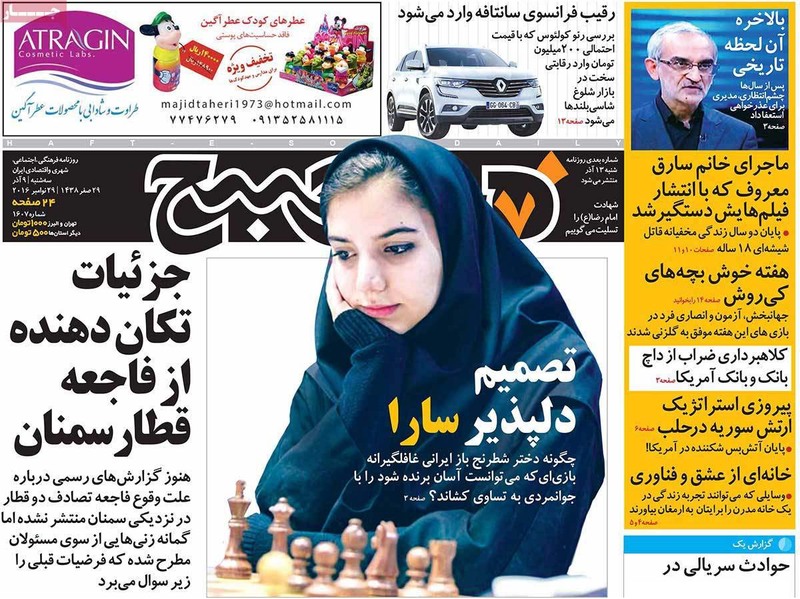 Ju, who plays for Shanghai chess club in the China Chess League, exhibited a set of high technical skills and did her utmost in the contest against Khademalsharieh. The Iranian grandmaster found it very hard by the 30th move to defend the position, and admitted the 0-1 defeat on the 38th move. Khademalsharieh is scheduled to take on Russian chess player Olga Alexandrovna Girya in round 10. Earlier, the Iranian chess player faced Ukrainian chess Grandmaster Natalia Oleksandrivna Zhukova in round 8, and agreed to a draw at the request of her 37-year-old rival. Hours before the eighth round, French chess player and former Women's European Individual Chess Championship title holder Almira Skripchenko didn't feel well and had to be taken to hospital. Zhukova, one of Skripchenko's best friends, was staying with her at the time. When the Ukrainian sportswoman returned for the game with Khademalsharieh, she was still distressed and experiencing understandable anxiety. In order to assuage her worries, Sarasadat decided to share points with Natalia and give her the chance to come back to hotel and support Almira peacefully. The FIDE Women's Grand Prix started on November 18 and will conclude on December 2.